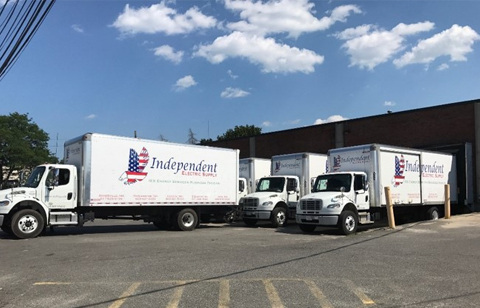 Depend On Reliable Shipping with Independent Electric Supply. Not only do we have the products you need, we have the capability to deliver them when and where you need it. We offer same-day delivery, scheduled delivery, just-in-time delivery, and provide warehouse staging. In addition, with our new Mobile App, you can access real time delivery updates straight from your mobile device! We understand we need to meet your timescales and business needs. 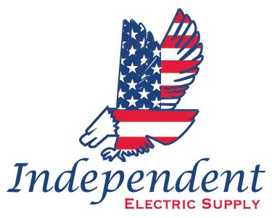 At Independent Electric Supply, your trust in us to get the job done right is something we take seriously. O ur fleet of Box Trucks, Flat Beds and High Capacity Vans will get your material on site when and where you need it. Identify the most efficient products for your application, we will analyze your current lighting performance and offer the best solution possible. Our large local inventory means you can count on next-day delivery of the top 500 items. Place your order before 6PM and get on-site delivery of in-stock items the next day. We do onsite signature capture at the time of delivery and provide this record to you along with your invoice. Whether it is getting your material to the jobsite in the early morning with our OT Madness service or the same day with our second run service or simply scheduling your delivery in advance while utilizing our warehouse staging and just in time delivery capabilities, our fleet of Box Trucks, Flat Beds and High Capacity Vans will get your material on site when and where you need it.